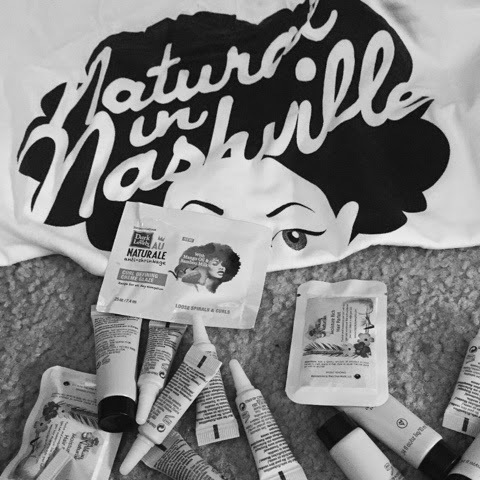 What's going on with Natural in Nashville? I know some have wondered what's been going on with the site. I did receive some message on Instagram wondering why we weren't updating the timeline. Of course, I wanted to address the situation. I hate to leave my readers in the dark. So let's get into it. Where have the posts gone? Well, that's a good question! I basically lost all my writers - some moved, some lost interest, some even went back to relaxer life. All reasons were understandable, we still love each other, life happens. Natural in Nashville was never designed to be the voice of one person. I always had a team concept in mind. 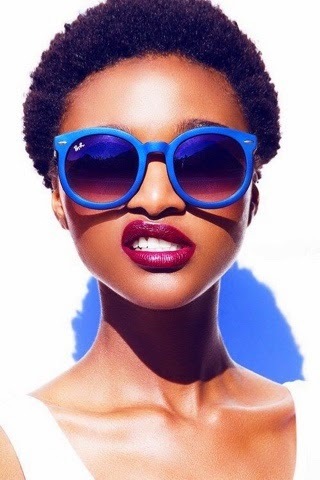 I wanted writers who would try new products on their various hair types, talk about the highs & lows of their natural hair journey, and even be the voice of reason for Naturals in our city. But when you don't have a team, it's hard to keep up that type of vision. So, why can't we just hear from YOU, the editor? Another good question! The reason I wanted a team of writers for this site is because my primary focus has always been fashion. As the editor, and sole writer of FabGlance Fashion & Style, I have to post, go to events, host, and everything else that goes along with being a fashion writer - I don't have a ton of time. I started writing about my natural hair journey on Fab Glance, but I thought, developing this site would be a gift to the city and natural hair wearers all over the internet? So, what's gonna happen now? It pains me to type, that Natural in Nashville will be going on hiatus. I'll still continue to update the Facebook page, but there won't be any new posts on the website . . . FOR NOW. I'm in talks to turn this space into a comprehensive resource for all things natural hair related - in the city. Natural in Nashville, the website, is scheduled to return June 2016. My hope is to build a team of amazing content creators, hair stylists, and bloggers. 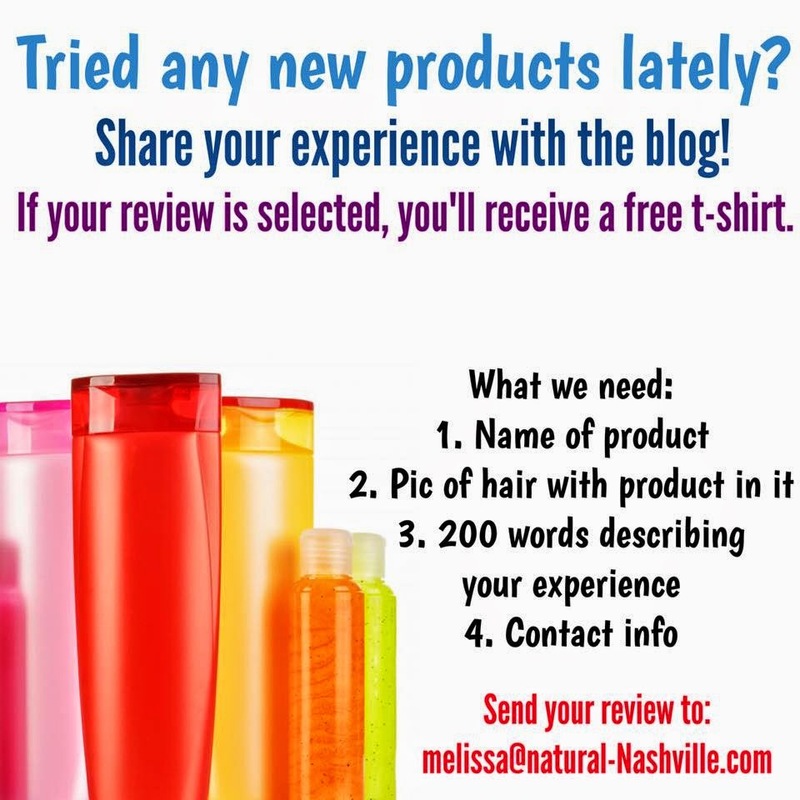 Ladies who not only writer about their hair experience, but host YouTube videos, events, and maybe even develop products - all things UNIQUE to Nashville's beauty community. Also, I want to have SPONSORS. Sponsors who fall in line with the vision and are able to help us give you amazing content. When Natural in Nashville returns there will be a new website design, new logo, and a new vision. Just hang with me, give me some time to develop the plan, and I promise to get back to you. In the meantime, follow us on FACEBOOK. 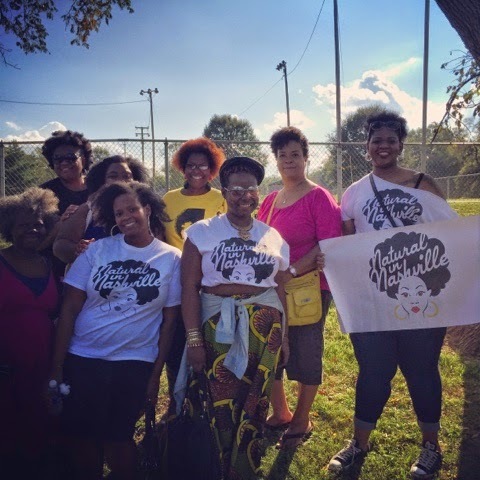 I will still post Natural Hair events happening in Nashville and the southern region. I will still post hair lust photos. And you can still ask questions about the Natural Hair journey. I'll be around to answer. If you'd like to join the team to help me prep for our re-launch in 2016, shoot me an email. We need writers, a videographers, a web designer, and an event coordinator. We also need brands who are interested in sponsorship. Oh yeah, do you have any suggestions on what you'd like to see on the site? Leave a comment below. Thank you for the last 4 years! I promise to bring the site back - and it will be better than ever! "This is not my first year being natural but it is my first year rocking it and I'm excited to share it with NIN every step of the way"
This has been a long time coming - at least six months, but we finally found a new writer. When I knew that Amber was moving to Georgia, I knew we needed to fill her spot. I received plenty of submissions, but the person I selected has exceeded my expectations. Ok, NIN readers, meet . . . JOMILLA! 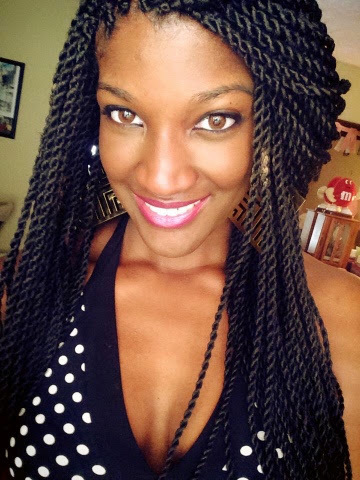 Jomilla is an MTSU Grad, newlywed, new mom, and experienced writer. She's written for many local papers and edited at MTSU. Personally, I've known Jomilla since she was in high school, but I never knew she had this gorgeous head of natural hair and grand writing experience. She's also a new mom of a gorgeous little girl, so she'll have some mommy advice to share as well. I'm so happy she's agreed to share her natural hair experience with us. As stated above, Jomilla's not newly natural, but this is the first time she's embraced the natural hair lifestyle. Often, when you wear wigs and weaves, your real hair kinda becomes a memory. 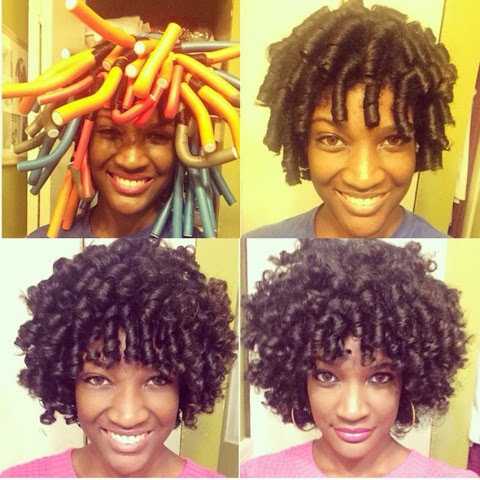 It's important to let your real hair breath and play around with it. You can't have perfect hair every day, but you can have healthy hair all the time if you learn to take care of it. 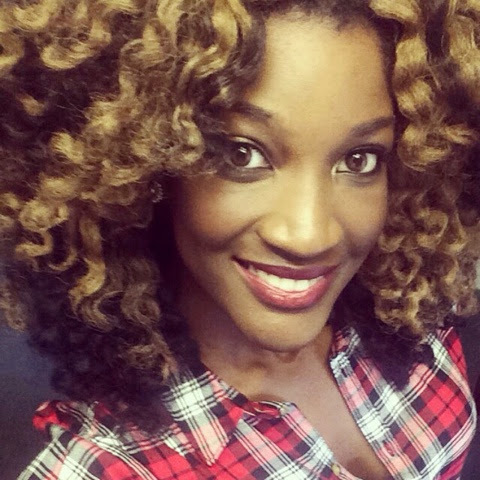 I'm excited to see Jomilla's hair grow and her experience being shared with you. 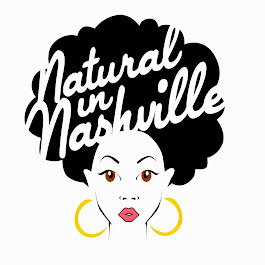 This year Natural in Nashville hopes to be the source of natural hair inspiration - in Nashville and beyond. Join me in welcoming Jomilla to our team! Say "Hi!" to her in the comments section! Wanna learn about our other writers, CLICK HERE! 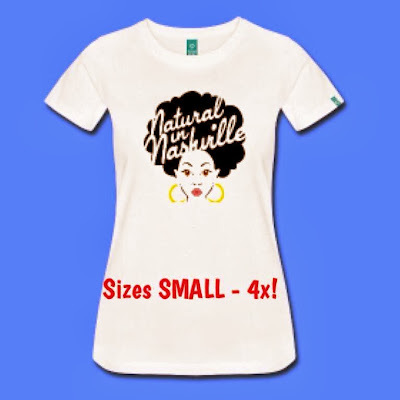 Natural in Nashville LOGO SHIRTS! After plenty of research, taking your suggestions, and attempting to keep prices low - the Natural in Nashville logo tee is now AVAIL! Click the link below to visit our new t-shirt store on spreadshirt.com! Shirts are $18-$25 depending on the size. PLUS they'll be more shirts added to the store with fun Natural Hair inspired slogans. Of course we'll try to keep the prices low with a variety of sizes. You asked for it an it's here - the Natural in Nashville team is now on Instagram!